Farazad Productions is a strong believer in and supporter of gender equality. Through its non-profit global initiative BACK 2 BUSINESS, the company is now pleased to announce that it will be holding the first women-only event in the Kingdom of Saudi Arabia (date to be confirmed). 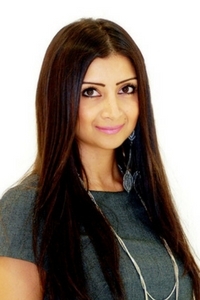 Farah Farazad, Founder and CEO of Farazad Productions, commented “Our aim is to provide a platform to encourage women’s empowerment in a respectful environment, supporting the culture and heritage of the Kingdom.” The event will host influential women leaders from within the Kingdom, the Middle East and beyond, who will be mentors for the new generation of women leaders. 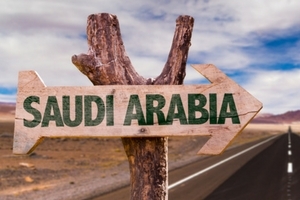 Saudi Arabia has announced an exciting visionary plan for the future, ‘Vision 2030’. This includes key investment in Saudi Arabian women within the workforce. Women’s participation in the workforce will be increased from 22% to 30%, which is a significant rise. Women in the Kingdom are already making change by being appointed to head major financial operations, such as the Kingdom’s Stock Exchange and Citigroup. Farazad Productions looks forward to bringing this special edition of BACK 2 BUSINESS, to the Kingdom of Saudi Arabia and providing a valuable networking platform to existing women leaders, and to inspiring the new generation to thrive and add value to Vision 2030. Farazad Productions is a COBCOE Corporate Partner.